Originally from Central China, the provinces of Yunnan, Sichuan and Shaanxi. They can be found in mountain forests at altitudes of between 1000 – 2600m above sea level.The like to hide under leaf litter, moss carpets and rocks and logs. They prefer the cool humid conditions that this provides. We recommend glass terrariums for this particular species, allowing you to keep them at the correct temperature more easily. These guys like it cool and slightly damp! They are also designed with snakes in mind so escapees are unlikely (Remember to shut the doors properly!). A wooden vivarium does offer more privacy for the snake, but as long as plenty of hides are provided the snake should feel secure. Yunnan ratsnakes require a temperature gradient of 23°C to 27°C (73°F to 80°F) during the day. This can be achieved by using a heat mat mounted on one side of the vivarium to create a warmer end of the vivarium. This must be controlled by a thermostat, as these snakes can be very sensitive to high temperatures. A simple 12 hour light cycle is ideal for Yunnan ratsnakes. UV lighting is not necessary for snakes, although some specialists believe it can be beneficial. There are many different types of substrate available, but as this snake is a forest floor dweller that likes to burrow the best are probably coir fibre, orchid bark or a mix of the two. Make sure your snake cannot accidentally ingest substrates when feeding. The snake will require quite a few hides in the vivarium so that it can feel secure. By having 2 or 3 in different areas, the snake will be able to choose the one at the best temperature. A humid hide is also recommended (such as the Exo Terra Snake Cave). These are hollow hides with a damp moss inside; snakes will often use these when they are shedding their skin. Plastic plants are also good to use, as these look very attractive in the vivarium as well as offering privacy. Real plants however are a poor choice, as snakes will often dig them out of their pots. Feed your snake one defrosted mouse every 1-2 weeks. The mouse should be no bigger than the largest part of the snake. Yunnan ratsnakes can eat mice their entire lives – starting off with pinkies as a hatchling and moving up in size as the animal grows. As these snakes have a narrow head, they often prefer several smaller prey items at a time as adults rather than a large mouse. 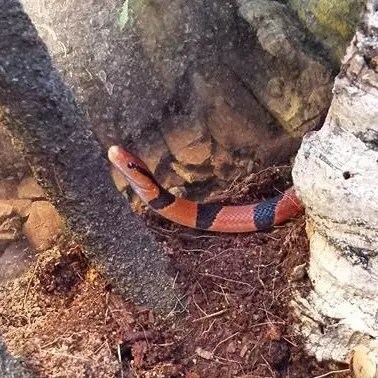 Although these are an unusual species of snake and are often seen as quite delicate, they can be remarkably robust if given the correct conditions. Natural Habitat: Central China, the provinces of Yunnan, Sichuan and Shaanxi. They can be found in mountain forests at altitudes of between 1000 – 2600m above sea level. Lifespan: Unknown, but should be comparable to other small ratsnake species – 10 to15 years. Adult Size: Between 90 and 120cm/3 to 4 feet, although usually on the smaller end of this. Temperament: Secretive and shy, they can however become very tame with regular, gentle handling. Feeding: Defrosted mouse once weekly, of the appropriate size. Substrate: Coir/coco fibre, orchid bark.